Originally established in 1996, China Arts Intertrans Guangdong Co., Ltd. was a wholly owned subsidiary of China Artex Corporation Guangdong Company and China National Arts and Crafts (Group) Corporation. In 2010, our company reconstructed and became a joint venture enterprise, Uni-Might Co., Ltd. acting asone of the shareholders, responsible for management and operation of the company. Functional departments of our company are including Financial Dept.、 Project Dept,.、Marketing Dept.,、Customer Service Dept.,、Sales Dept.,、 OverseasDept.、and Planning Dept., We have set up our branch offices in Zhongshan、 Zhanjiang、Dongguan、Zhuhai、Shenzhen as well as Nanhai. Our service network has spread through the major cities in China, including Beijing, Tianjin, Shanghai, Nanjing, Qingdao, Chongqin, Fuzhou, Shenzhen, Zhongshan, Haikou, Hong Kong, etc. Registered as a “Class A” freight forwarding company under the regulations of The Ministry of Commerce of the People’s Republic of China ( previously The Ministry of Foreign Trade Cooperation ), we specialize in internationalocean, air and road transportation services, including cargo canvassing, cargo space booking, warehousing, transshipment, container stuffing and devanning, FCL and LCL service, freight and miscellaneous fee settlement, customs clearance and inspection, haulage service, transportation consultation and foreign trade. Our company has NVOCC operation license. 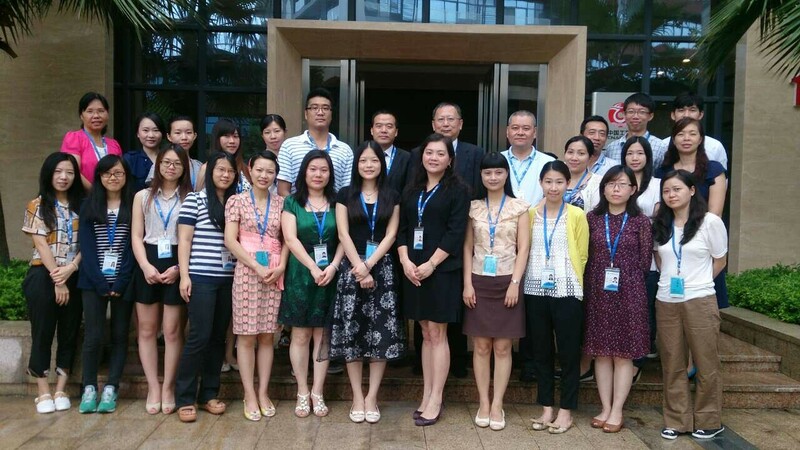 Besides, we are qualified as a sales agent for international air cargo transportation by China Civil Aviation. We are among the first group in China, as logistics service provider, to obtain “AAA” credit rating. We have established long-term and stable cooperation relationship with world-class shipping carriers, port authorities and port operators. According to our branch offices national-wide and extension of global agency network, we can provide high quality and efficiency, cost saving sea freight services to domestic and international customers. Service network in China: Main cities such as Guangzhou, Zhongshan, Zhanjiang, Dongguan, Zhuhai, Shenzhen in Pearl River Delta Area, and other cities in North, East and South China. Overseas service network: Main cities in Southeast Asia, Japan, Middle East, Sub-Continent, North American, Europe and Mediterranean. We have long-term cooperation with many air lines, and our main routes are from China to USA, Canada and Southeast Asia. We can also provide value added services for all customers in loading ports and final destinations. In Fangcun District, Guangzhou, we have a warehouse with 4000 square meters. Near Guangzhou Baiyun Airport, there are newly-built offices and warehouses, whose total area is about 4000 square meters. Customs Declaration Departments are set up in Baiyun Airport, Guangzhou Economic and Technology Development Zone and Nanhai District in Foshan.